What do you do when you have too much data? It’s not a question I’ve ever had to ask myself in my scientific career, and is rarely a problem when working with hard-to-study animals like whales and dolphins. But this is exactly the question I found myself asking shortly after starting my new job with the Pacific Islands Fisheries Science Center’s Cetacean Research Program in Hawaii in 2017. I was describing my job to my father, who is not a scientist, and trying to convey what we want to do. 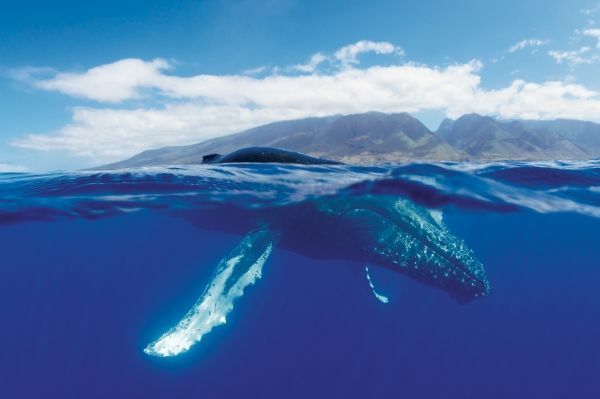 We conduct research to understand the health and status of whale and dolphin species around U.S. Pacific Islands and across the Pacific Ocean, a VAST area. One tool we use to monitor elusive whales across this large region is a network of seafloor mounted recorders called high-frequency acoustic recording packages (HARPs). The HARPs have hydrophones (underwater microphones) that can record the calls of whales and dolphins, as well as any environmental or human-made noise. We deploy HARPs for months to years at a time and we have to retrieve them to obtain data. So far, our network extends to 13 different recordings sites, of which several have been monitored for a decade or more. This means we now have more than 200 TB of data, or almost 170,000 hours of recordings. If you were to sit and listen to all of that audio straight through it would take you more than 19 years. So if we monitor the whales by listening to their calls in the recordings, how in the world do you ever listen to that much data?